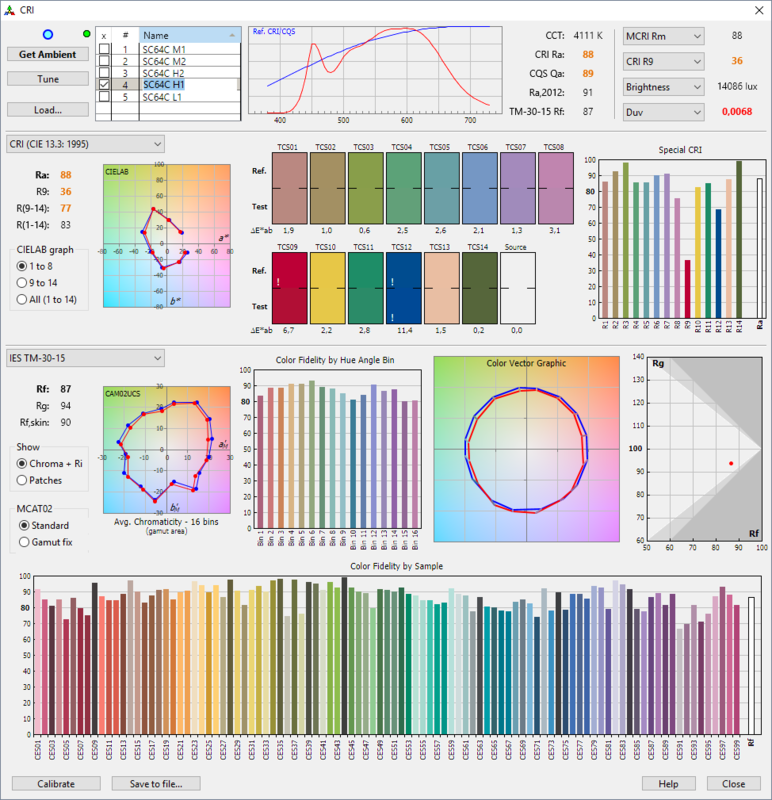 I tested some non Easywhite binned 4000K XP-L2s a while back and found the CRI90 versions to be green/yellow in tint while the CRI70 versions were quite alright. Both suffered from the tint shift within the beam i.e. the Cree rainbow. 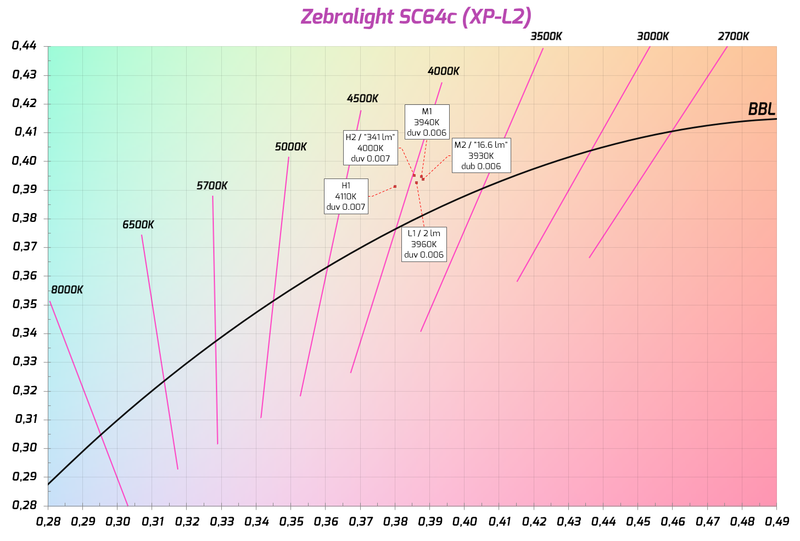 The 2-step CRI90 XP-L2 in the Zebralight SC64c should guarantee a nice tint, but several reports from users have indicated otherwise. Fortunately a fellow flashlight enthusiast loaned me his SC64c for testing. He has already decided to return it as he was spoiled by the much nicer H600Fc. Turns out that the 2-step means squat. 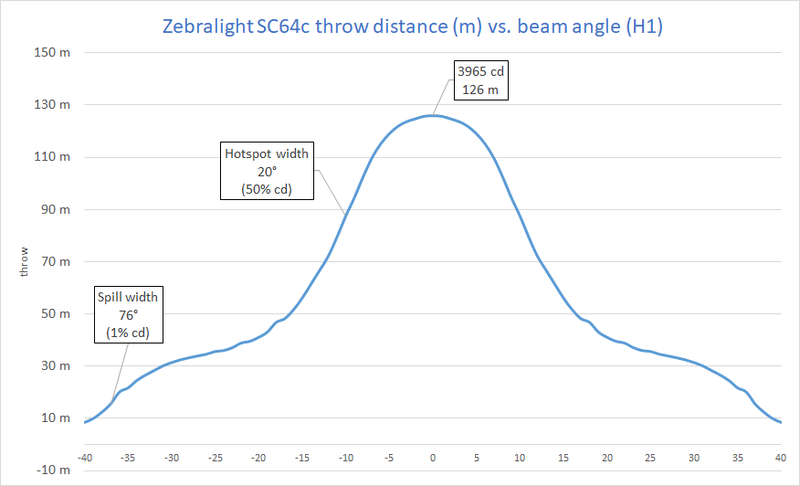 The light doesn’t measure inside the 2-step quadrangle at any point in the beam. So obviously it doesn’t do it integrated either. For this single reason, I would return the light. 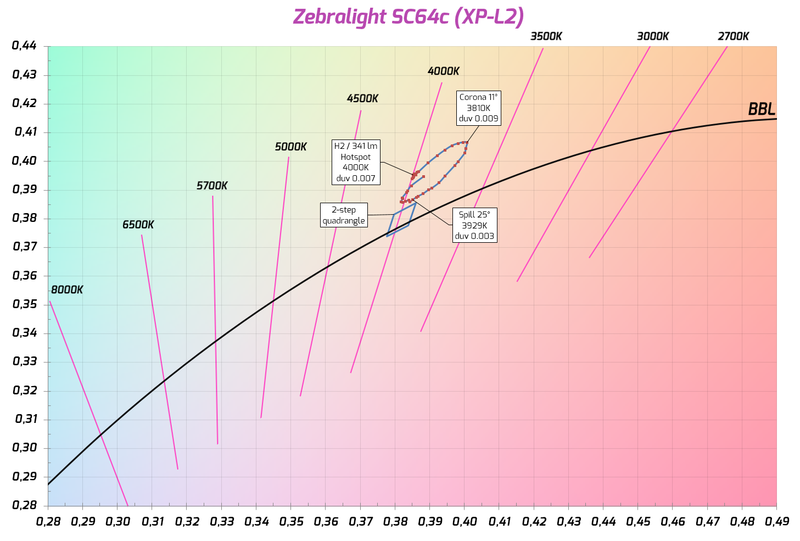 The 2-step offered by Cree is not a reason for Zebralight to not use Nichia and I’ve never seen anything this bad from a 219C or 319C even though they can’t match the luminous efficacy of the XP-L2. There’s an almost indistinguishable brownish spot in the middle of the hotspot. The corona is a strong yellow/green and the spill again turns cooler. Yellow is probably the best shade to describe the overall tint. Definitely not the prettiest of beams. The color temperature stays warm all the way to the edge of the spill. Fortunately there’s no strong purple there. The duv (deviation from the neutral black body line) stays on the greener side of things throughout the beam peaking in the corona. The CRI(Ra) is some 2-5 points under the advertised 93-95, but that wouldn’t be a deal breaker for me at least. Color rendering drops on the higher modes which is common for single die high CRI Crees. 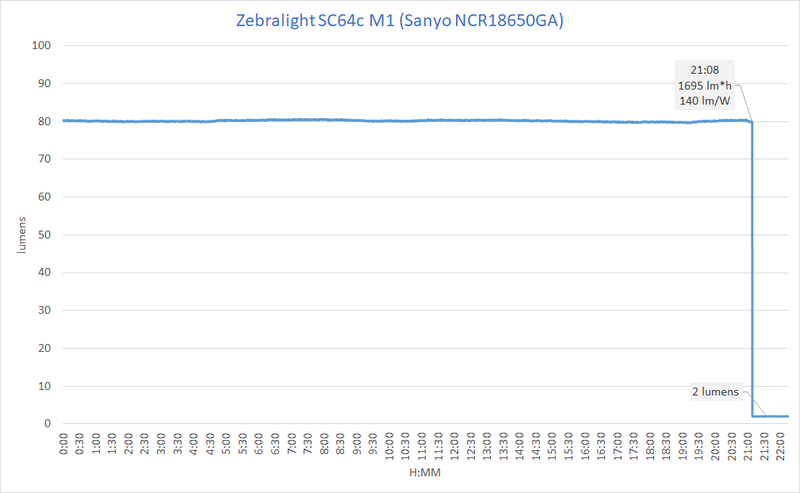 The Zebralight SC64c was tested with the battery they recommend, a Sanyo NCR18650GA. Button tops or protected cells don’t fit in the light. 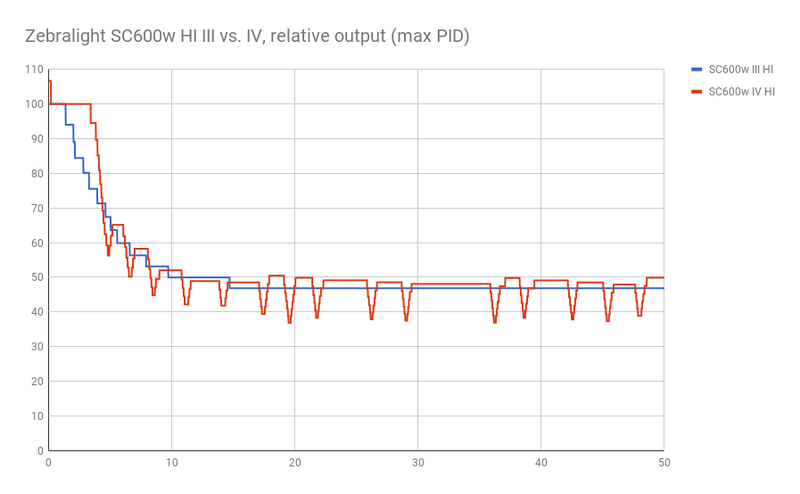 The PID thermal requlation hunts a bit in room temperature on H1. If cooled well enough, the light doesn’t step down. 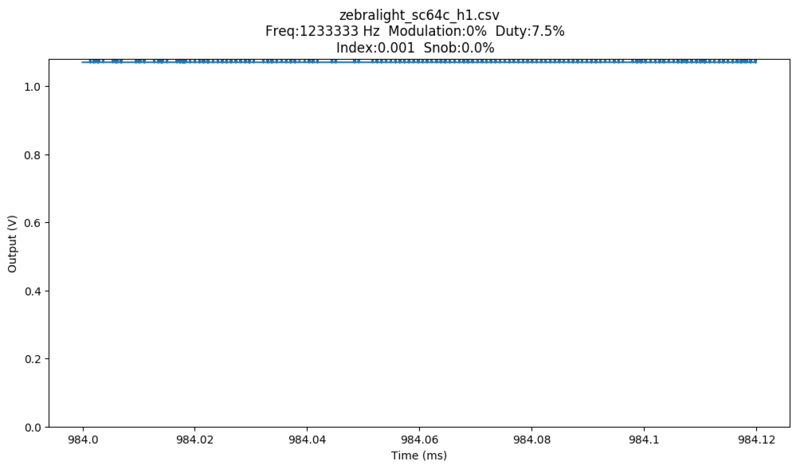 The output falls a bit short of advertised (814 vs. 900 lumens or -10%). On H2 or “341 lm” the difference is bigger as I measured it at 283 lumens (-17%). This discrepancy is strange as usually their numbers are accurate, though some of the difference can be explained by the sample variance. ZL doesn’t have runtimes listed on their site at the time of writing this. 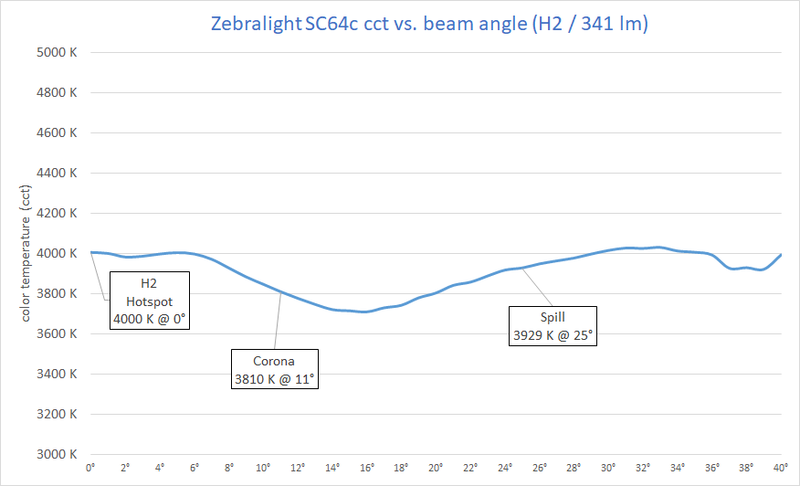 Zebralight does deserve the usual praise for their amazing driver which offers rock solid output regulation and excellent efficacy. Assuming the emitter used is the XPLBWT-00-0000-000UU640H which is spec’d at 417lm @ 1050mA / 2.90V or ~3W it has an efficacy of approximately 140 lm/W. The losses from the driver, reflector and lens are very small. I got 117 lm/W on the H2 mode. This is the highest I’ve ever tested for a CRI90 flashlight. 80 lumens for over 21 hours is also quite a feat. Just give the ultimate EDC light to us with a decent emitter, please. There’s some ripple on L1, but because of the limited modulation depth and high frequency it isn’t visible. On higher modes the flicker is non existent. There’s insignificant parasitic drain on the battery when the light is switched off. 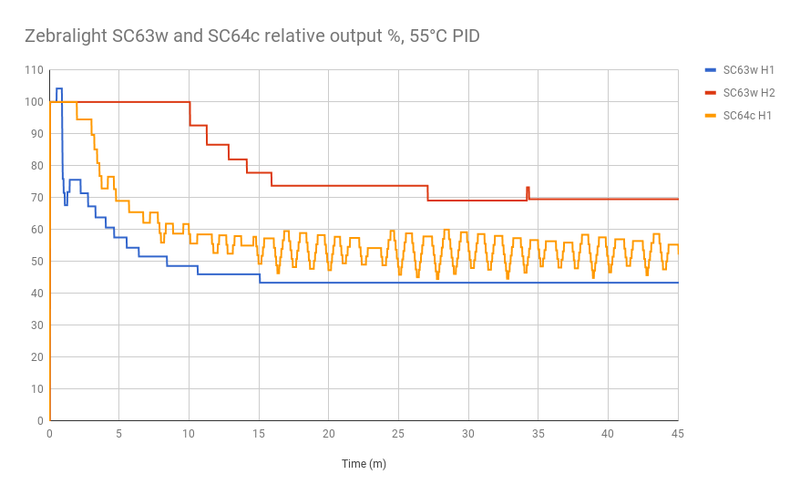 I measured the standby drain at a minimal 26µA. The tint shift issues is the only reason holding me from buying another ZL. Do you think the XHP35 CRI70 CW would suffer from this? or is it more prominent on the NW/WW versions? 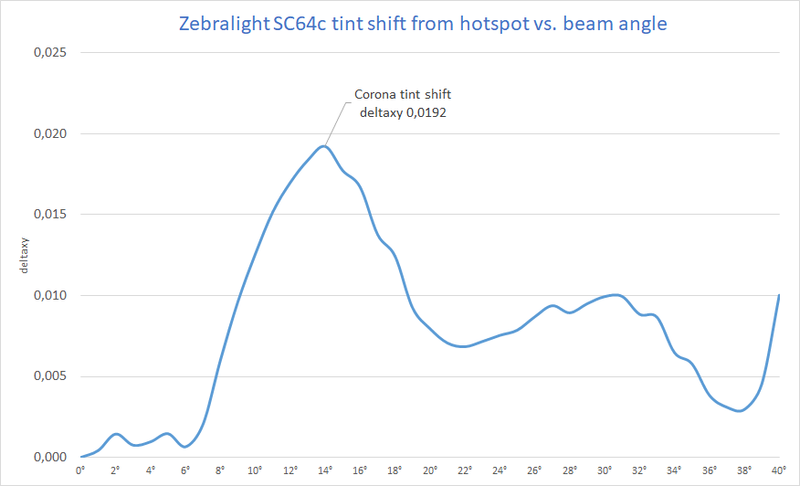 Many of the tint issues would disappear if they switched to Nichia emitters, but most ZL users are not picky about the tint. Based on my experience with the Olight M2R CW which also uses the XHP35 HD, there’s probably a visible shift. With Cree, I’d always go with the undomed HI version unless a diffusing optics or lens is used. Wow, that’s a lot of detail! 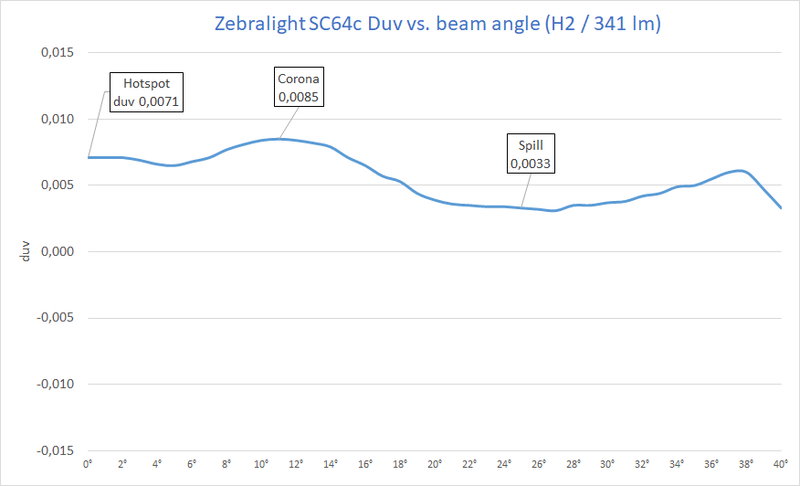 I recently bought a Zebralight SC600w MkIV HI, partly because of tint complaints about the “c” versions, and a more even tint across the beam you get with a HI emitter. I really like the tint on mine. It’s not as good as a 4000K Nichia 219, but it’s pretty close. The tint on my SC600w Mk3 HI is also absolutely fabulous with a perfectly neutral hotspot. The small shift on the XHP35 HI is a total non issue. Is this light a good candidate for a 219C swap? The voltage is correct, but I don’t understand the output characteristics of the two emitters well enough to know how it would affect things. There were also some issues swapping a 219C into a much older ZL light. ZLs have glued bezel and a reflector finish that doesn’t handle heat well, I tried to repair mine/mod mine a while back, ended up just picking out the driver. If you want 219C in a headlamp I recommend modding a skilhunt instead, super easy to do. Are you sure it was glued? Which light? I was under the impression the bezels were just press fit based on the limited modding reports I’ve read. I do actually have a 219C headlamp, but the SC6x series with a high CRI emitter that doesn’t look like crap is kind of a dream EDC light for me. The LED is mounted on the driver. The driver has components on both sides. Part of the bottom side is flat and used for heatsinking. And yes, the bezel is press fit. It’s generally a very difficult mod. I see what you mean from this old CPF thread about the SC52. It’s not so much getting it open, but what to do once it’s open. Even for a straight emitter swap, unless you can reflow in situ (I assume not), it would be almost impossible. 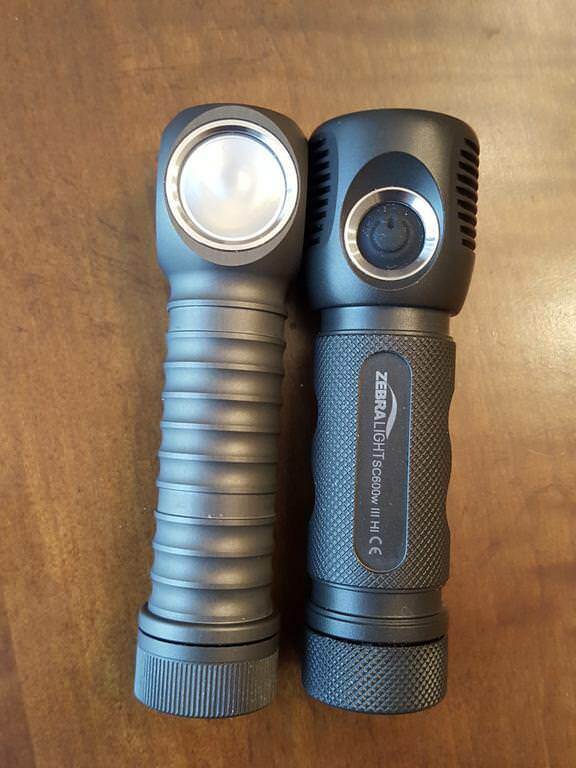 I’ll echo maukka: Just give the ultimate EDC light to us with a decent emitter, please. On the other hand, I believe the right angle lights still use a separate MCPCB for the emitter, which opens up the possibility of using some of Clemence’s new boards. There is the issue of removing the bezel without damage, especially with the frosty lens, but you can approach it by pulling out the switch cover and working your way inside. Too bad the thread OP on CPF seemingly intends to take the secret of how to remove a press fit bezel without damage to their grave and is still ignoring PMs years later. The LED is mounted on the driver. The driver has components on both side. Part of the bottom side is flat and used for heatsinking. All true and so sad. I still EDC a SC62d with an underperforming Philips LUXEON T emitter that looks great at the cost of reduced output per watt. Would love to mod any of my ZLs but the last one I was able to do was a SC600 before they integrated the driver. Beyond my ability now. Yeah, this is all “first world problem” and nitpicking and all, but it’s nice to have choices. Any of these flashlights would’ve seemed like alien technology 20 years ago but I think even then some people would’ve noticed all the color variation across the beam. I’m glad Maukka mentioned the “brownish spot”, I was always afraid to use that term because it sounds ridiculous that the hotspot of a flashlight would have such a thing, but there it is. It’s hard to replace the SC62d because the clip and pocket fit are just perfect. I keep buying lights anyway, wonder if I’ll ever kick this habit? I also returned an SC64c because of ugly yellow tint, and the “brownish spot” was quite visible on my sample. 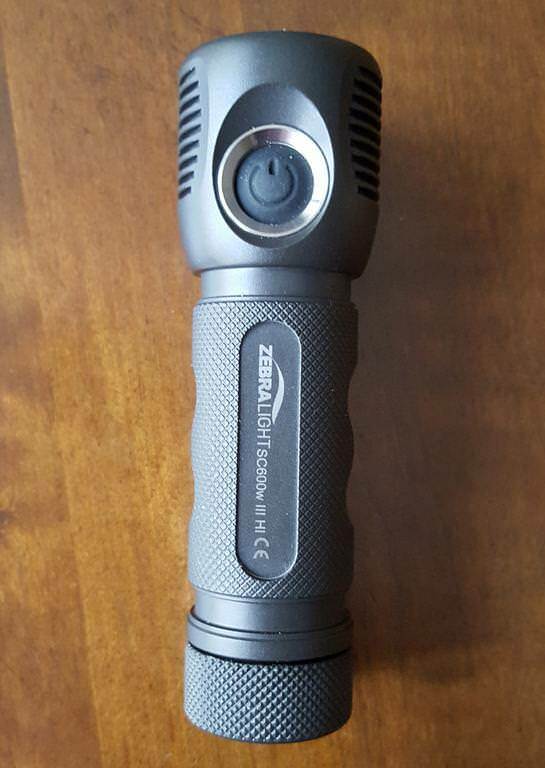 Very frustrating Zebralight go out of their way to offer a high CRI version of my favourite EDC light that looks much worse than the regular XHP35 version. 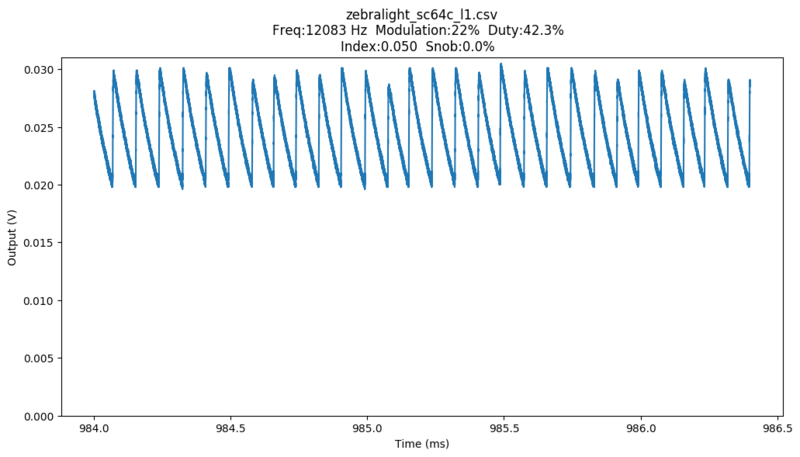 The huge oscillations in maukka’s H1 runtime are a new thing for ZL. Their lights traditionally have a very flat PID output. 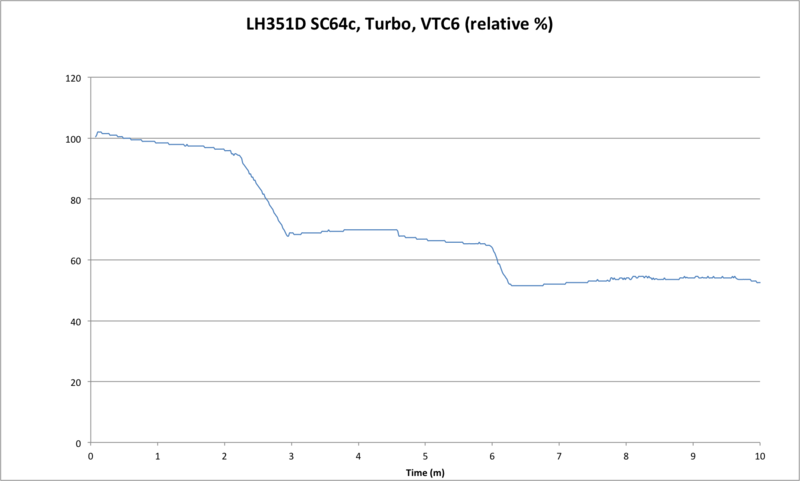 Both new ones I tried have more accurate temperature limits, sustain turbo longer, but hunt a lot more when stepped down. It’s slow enough to not be really visible in use, but kind of a weird change. Well, that’s a big disappointment. I wonder why the gen4 series is downgraded compared to gen3. Not a bad choice. The Mk III H600Fd and SC600w HI are two of my top 10 lights. Lovely UI, lovely tint, great size. Hope the Vs will step up the game once again. I’ve been thinking about pulling the trigger on the new H604c. I’ve been waiting to hear reports of how the beam looks. This testing you’ve done on the two step xp-l2 has me worried. I too have found the Cree HI emitters to look real nice with nice even color. I think all their full flood mule headlights use domed emitters though. Its a shame. You’d think they would do some tint sorting and offer good ones in their “c” color and “d” daylight offerings, and leave the green, yellow and brown tints for other models. They certainly charge enough to justify the extra effort. The SC600w III HI came in. Like you said, very nice even tint. The UI is great, just like the H600Fd Mk III. I have an SC600 IV Plus. It’s quite nice. Compared to the III HI, the IV Plus is much brighter with much brighter spill and a wider, but dimmer hotspot. 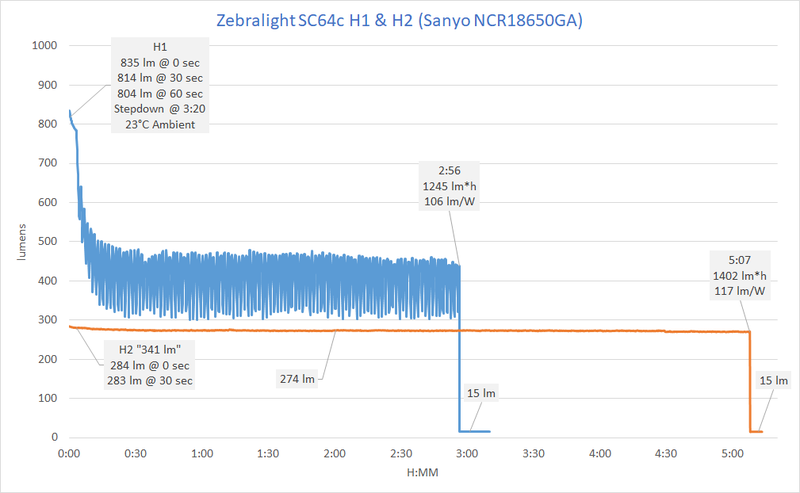 The maximum output is quite a bit dimmer dimmer than my XPL HI D4s, but not by a hugely noticeable amount since more of the light is concentrated in the narrower hotspot. 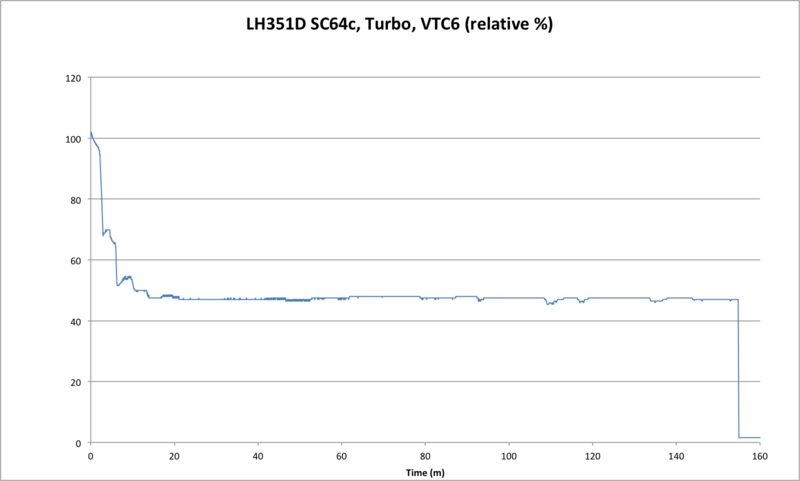 Also the heatsinking in the SC600 is excellent. After a minute tailstanding it hasn’t significantly dimmed and is enormously brighter than my D4s, which all dim quite rapidly as they heat up. 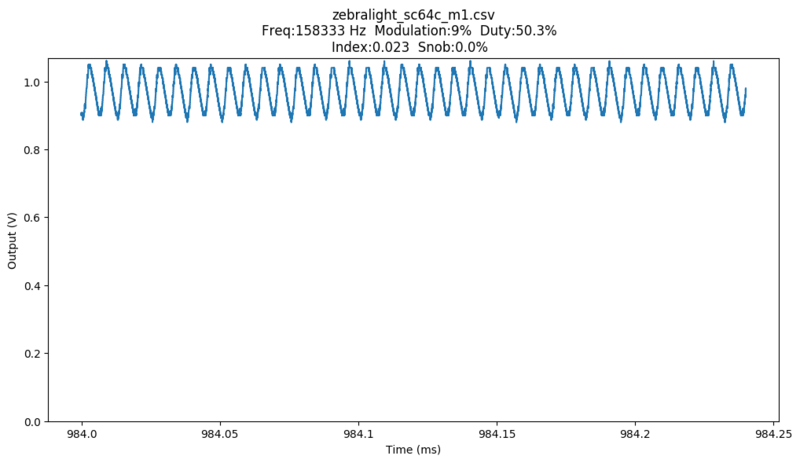 Looks like Zebralight tweaked the PID tuning at some point during production. This is a brand new SC64c from an Amazon reseller. They would look basically the same of you did the measurement for the same length of time and scaled the graphs identically. It’s actually the same graph, but the second image is zoomed in. Ah, yes. I thought he was comparing two different lights and their respective graphs. I don’t know what all this means. But I am wondering if H2 run time, hit 10% 30 seconds before 50%. Also, saving this post for the next time I hear someone say CRI is more important than tint. I tested some non Easywhite binned 4000K XP-L2s a while back and found the CRI90 versions to be green/yellow in tint while the CRI70 versions were quite alright.